This picture shows the race divide in the early 1900's. African Americans and whites are standing outside of a store protesting a store. 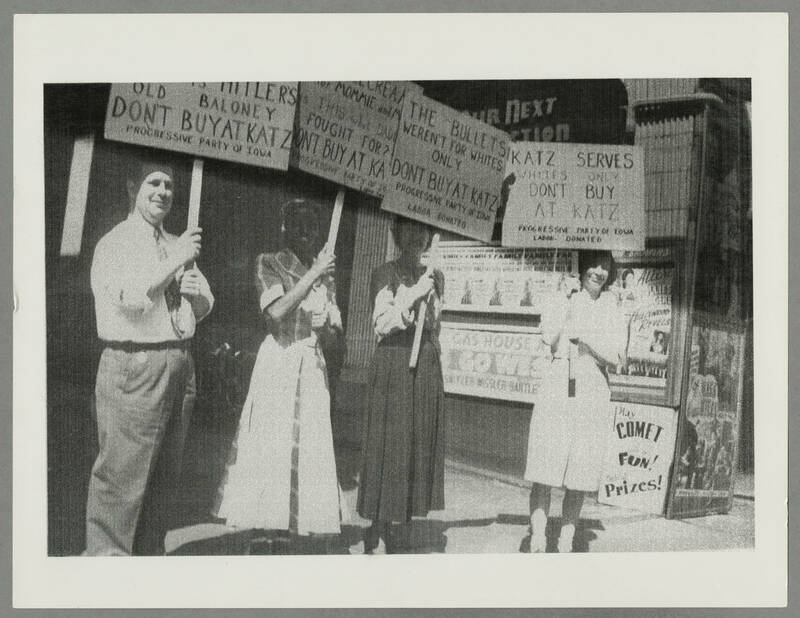 Their signs say "Don't buy at Katz" Protesting that this store Katz, they only sell to whites.